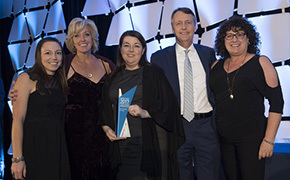 More than 200 agents attended the WestJet award gala held last night at the Four Seasons Hotel in Toronto. Retailers from across the country flew in for the affair which was held in true WestJet style. Warm, welcoming and graceful. Keynote speaker Ron Tite kicked off the evening with a brief but powerful presentation on how great brands are driven by a clear purpose and not by numbers. According to Tite, “Thanks to clutter in the marketplace, complex product choices, it has never been more critical for an organizational brand to be perfectly aligned with the personal brands of the people within it”. Which points to great opportunities for travel experts who can help consumers navigate the increasingly complex choices. 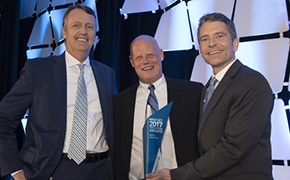 The awards recognized 13 different categories including: WestJet Vacations Top Revenue Growth, WestJet Top Revenue Growth and WestJet Top Growth TMC. 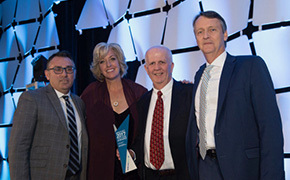 The winners, agencies and agents who have contributed to the airline's success, are listed below.